Info: The most sought after Dunk SB released for the White Dunk: Evolution Of An Icon art event in Paris. Each pair is unique, no two pairs are the same. This was due to the artwork of French painter Bernard Buffet and Nike cutting the canvas differently. Limited to 202 pairs worldwide. 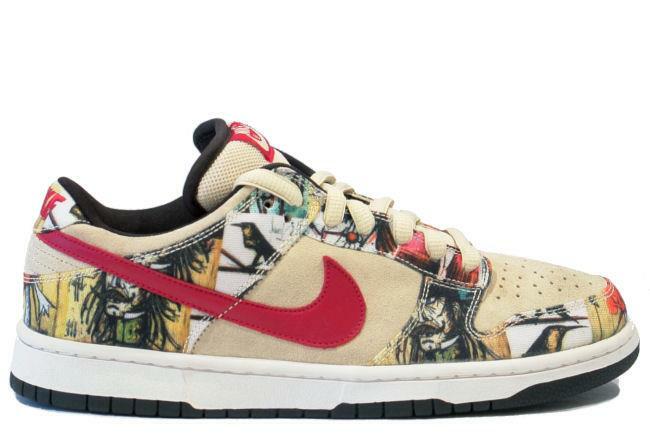 2005 Nike SB release.